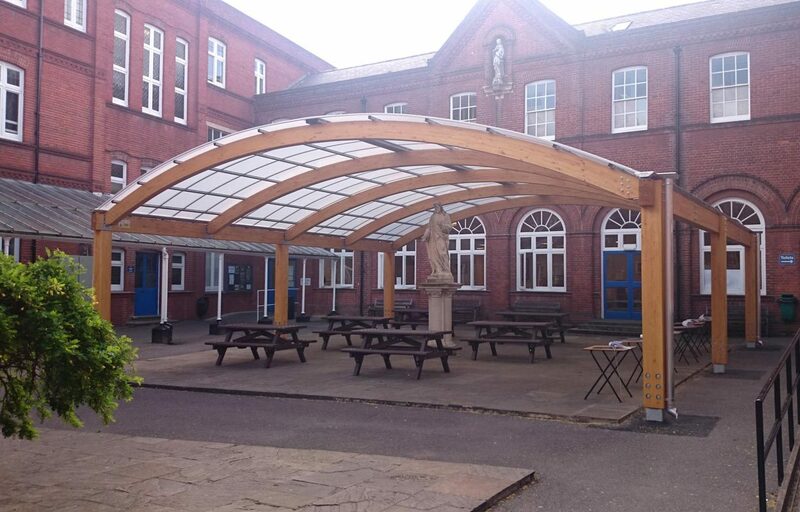 Bespoke timber canopy for St Philomena’s Catholic School. 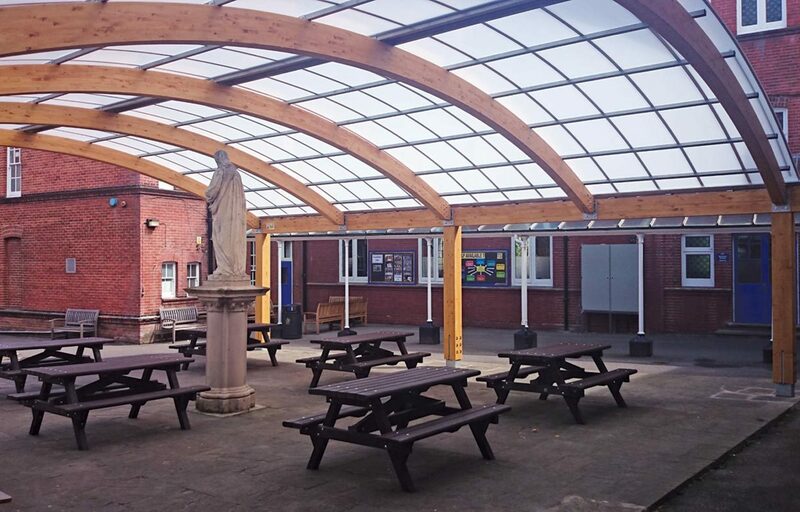 A single span timber canopy creates a contemporary yet natural feel amongst St. Philomena’s Victorian architecture. 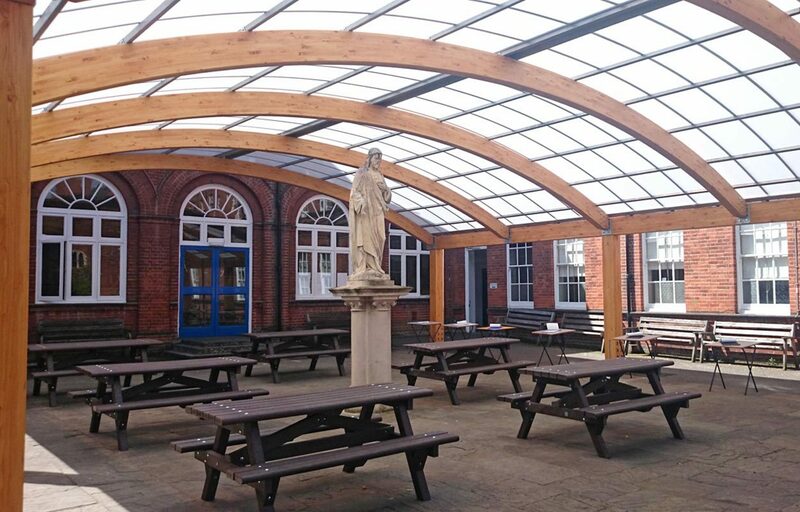 The bespoke glulaminated timber canopy is 11m in width and 11m in length and is completed in a stained light oak finish. It will provide an area for staff and students to dine and socialise.